I was extremely happy when I found out about a very beautiful five-star hotel in Saint-Jean-de-Luz, which is not always the case in small cities. After a picturesque 10-minute walk from the train station and city center, I reached a peachy colored building situated right on the promenade of the Grande Plage of Saint-Jean-de-Luz. It somehow reminded me of Monaco’s villa near the Prince's Palace. Greeted by a smiling concierge, I felt like I was home. Probably because the recently renovated Luz Grand Hotel is decorated following an Art-Déco style (just like mine), and has been closely tied to the legacy of the city across many decades. Ever since Saint-Jean-de-Luz has become renowned for sea bathing on the Basque coast and the destination for artists and members of high society. A very luminous space, with a touch of elegance, was what I saw from the entrance up until my room, and throughout the entire hotel. 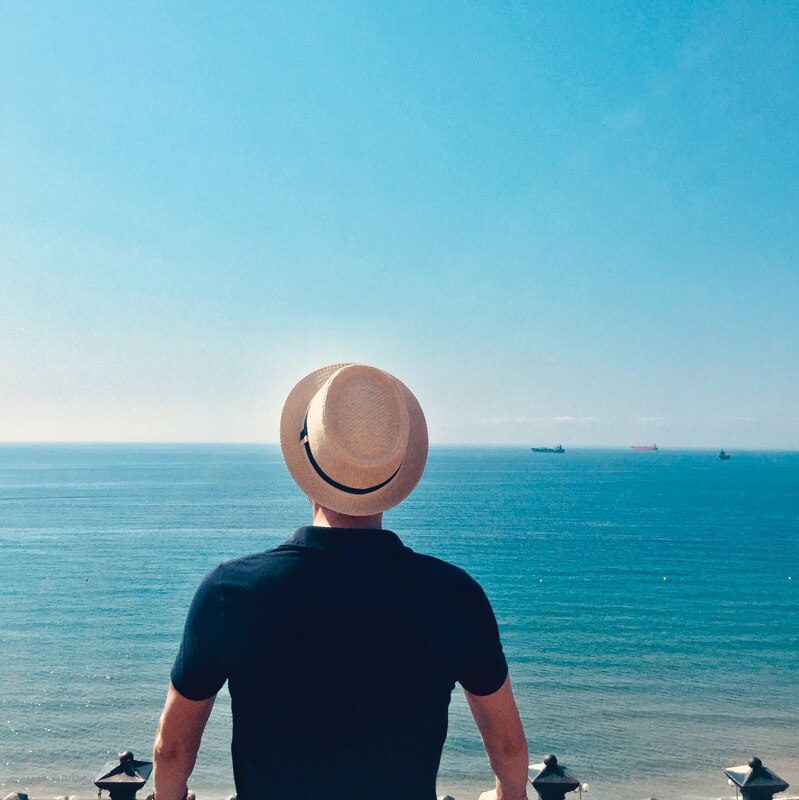 So here is a resume of my weekend activities at the Grand Hôtel Thalasso & Spa of Saint-Jean-de-Luz. Many hotels do offer rooms with a sea-view, but my deluxe room was like no other. Not only do you get to see the Grande Plage from its beginning to the end from the room’s balcony, but from your very own bed as well. So I decided to lie in, relax and just enjoy the view after my voyage. Being a fan of Murano crystals, I was delighted by the chandeliers that are made from the precious glass. The neutral and calm colors that are spread around the room add to the whole ambience of peacefulness. I was told that bigger suites are available for families, and special animations are organized for children as well. They include indoor and outdoor activities, meals and spa treatments (you know, children deserve to be pampered too!). 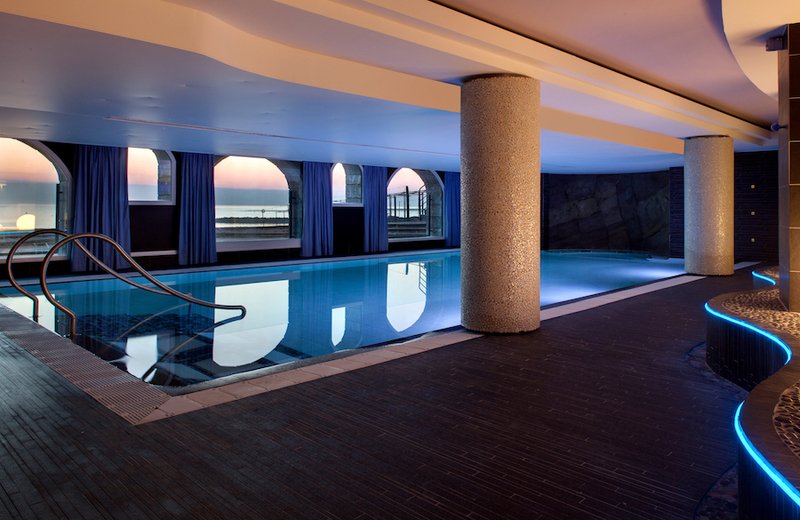 And when at the Grand Hotel, I was definitely going to visit its Loreamar Thalasso & Spa which overlooks the Atlantic. The spa offers so many treatments and packages which was quite a challenge for me to choose from. Every offering is catered around the benefits of seawater. Treatments are personalized for you, whether you intend to stay for a short or long period of time. You can ask for the advice of medical experts and staff, who are always curious to know more about your special needs. A three-day or five-day cure could help in distressing and reshaping your body through food, water and all forms of detox therapies. The hotel advised me to start off with the wellness massage, a very soothing experience before the launch of a wellness program. And it was indeed! I also took a dip in the warm indoor seawater swimming pool heated at a 31 degrees Celsius. Back in the lobby, the British-styled Le Clipper bar is a cosy environment to start an afternoon break, or for a pre-dinner drink (including delicious detoxifying cocktails). The bar is situated right next to the L’Océan restaurant. 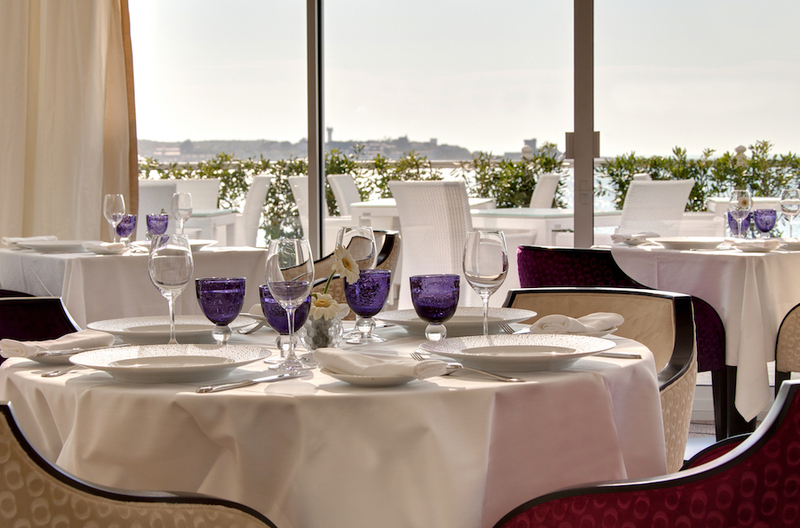 The city’s infamous L’Océan restaurant is awarded a one Michelin star, and is headed by the French chef Christophe Grosjean. On its menu, you will get to order from a selection of fresh fish and an assortment of locally produced fruits and vegetables cooked a la Basquaise. Every dish combines lightness and generosity, and that’s rare to find at an acclaimed restaurant. And just like the hotel, the restaurant and its terrace face the ocean, fusing the delicious food and experience in a unique space. When I first arrived many clients were sitting on the restaurants terrace as they sipped their cocktails and watched the sunset. I unfortunately was too busy discovering the interior. I was surely tempted to have a live experience with the Atlantic, which is located a few meters away. Many of the hotel’s guests were walking barefoot in their bathrobes on the sand, others were swimming or participating in a water sports activity. I just wanted to sit on the sand and enjoy the view. 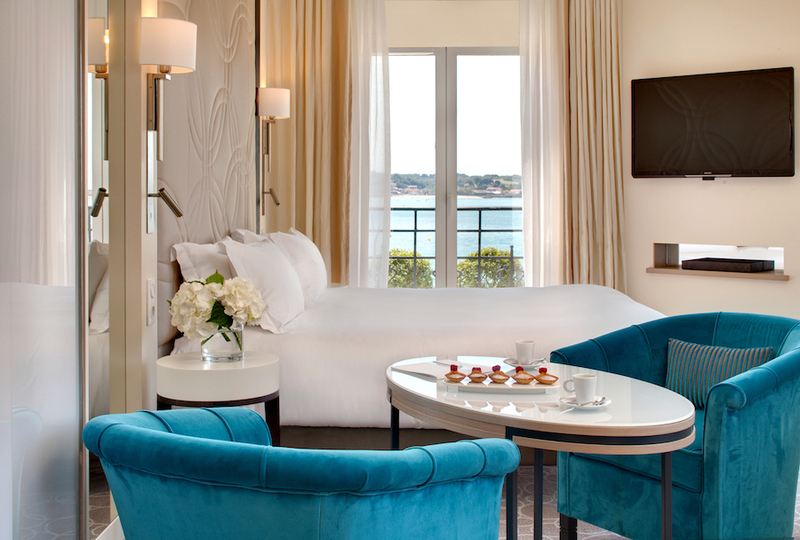 The luxurious and sophisticated Grand Hôtel of Saint-Jean-de-Luz remains subtle and offers a soothing premium experience allowing visitors to select their preferences, and enjoy their stay, the way they want it to be. It’s an ultimate destination of premium and serene luxury and represents the intimate ties of the city’s relationship with the water of the Atlantic. A place that makes you want to come back. 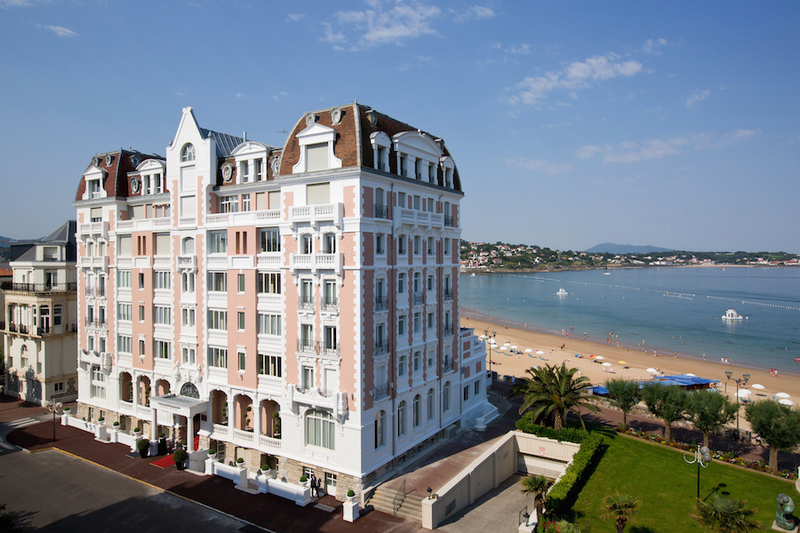 To checkout the packages and book a room at the Grand Hôtel Thalasso & Spa Saint-Jean-de-Luz click here.